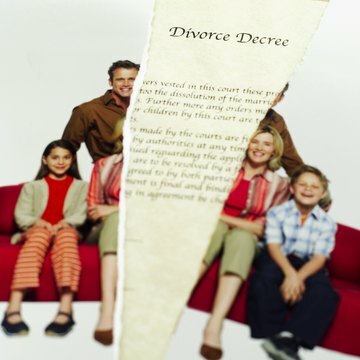 Direct your Internet browser to the website for the Superior Court of the county in which the divorce was filed. Locate and click on the appropriate selection to search the Superior Court's database. Note that counties may refer to this selection as “Search Court Records,” “Case Information Online,” “Accessing Court Records,” “Case Summaries,” or by a similar heading. You can usually find the selection on the website's homepage. Pay any applicable search fee. Some counties in California require a user to pay a small fee in exchange for accessing the court’s information online. Los Angeles and Riverside Counties, for example, require users to pay a fee to search for records by a party’s name, whereas, if you know the case number, the search is free. If you choose to visit a courthouse, you may still have to pay a fee. Enter the requested case information, such as a party’s name or the case number if you have it, and select the “Search” or similarly titled button to request the status information. Contact the clerk’s office for the county in which the divorce was filed if the online system was unable to locate the case. Note that it may take a couple of days for the case to appear online if it was filed recently. As long as it's not for a fraudulent or illegal purpose, adults are normally allowed to change their names by requesting an order of name change from a court in the county in which they reside. If you think someone has legally changed her name and you need to know about it, you can usually find a record of the court order or some other evidence of the change. On the other hand, it's possible that she has simply started using a different name; if you don't find the paper trail, there might be no way to know for sure.